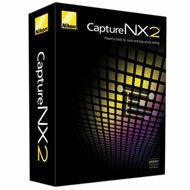 New version 2.3 of Capture NX ($129.95) is ready to be released and it will have 64-bit support. I believe this version will add support also for new, unreleased Nikon camera(s), which explains why it is not available yet. The latest Capture NX version is 2.2.8. Do no expect Capture NX3 to be released any time soon. Nikon recently added 64-bit support to their NEF codec. This entry was posted in Nikon Software and tagged Nikon Capture NX3. Bookmark the permalink. Trackbacks are closed, but you can post a comment.